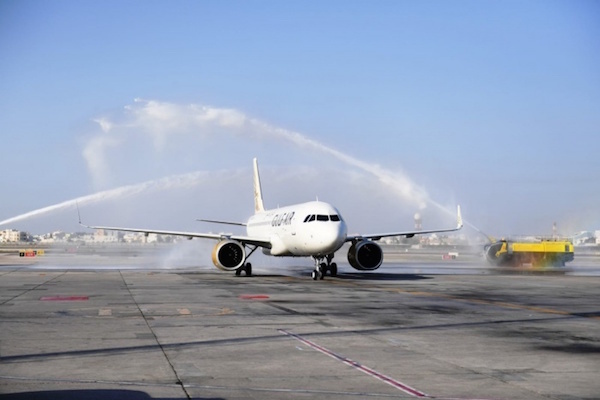 Gulf Air has welcomed its first Airbus A320neo with the plane touching down at Bahrain International Airport. Following its delivery from the Airbus factory in Toulouse, France, the aircraft will service a number of regional routes within the Gulf Air network. With Gulf Air chief executive, Krešimir Kučko, and representatives from Airbus on-board, the A320neo received a water canon salute as it taxied to the terminal and was welcomed at Bahrain International Airport by a delegation of VIPs, dignitaries, government and aviation industry representatives and media members. The aircraft is first of the 12 A320neo aircraft ordered during the 2016 Bahrain International Airshow. This delivery also makes Gulf Air the first national carrier to fly the A320neo in the Middle East and Africa region. Kučko commented: “We are delighted to welcome the airline’s newest aircraft and proud to be the first national carrier in the region to operate the A320neo. In 2018, Gulf Air’s network will serve 49 cities in 26 countries. Gulf Air is committed to being an industry leader, continually enhancing its services and tailoring a product offering that best fits its passengers’ needs.